Ian Nepomniachtchi shared the first place in the Aeroflot Open A with Daniil Dubov and won the event due to better tie-break score. Both players collected 7 points. In addition to winning the prize money, Nepomniachtchi qualified for the traditional tournament in Dortmund. Another Russian player Ivan Bukavshin finished clear third with 6.5. Replay games with analysis. 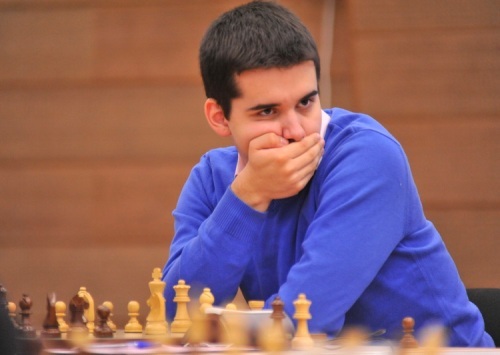 On the next day Nepomniachtchi dominated in the large blitz tournament, scoring 14.5/18 to take a clear first place, 1.5 points ahead of his main contenders. Reigning World Junior Champion Lu Shanglei (China), Alexander Grischuk (Russia), and Maxim Matlakov (Russia) collected 13 points, eight more players finished with 12.5 points.